Angel is continuing our Christmas sale this final week before Christmas, with 20% off all our Desigual stock from the Winter 2015 collection, 30% off all Desigual from previous seasons and 35% off all Desigual men’s winter sweaters & jackets (see photos below). Angel will be closing at 6 p.m. on Christmas Eve and will be closed Christmas Day. We’ll be open for Boxing Day next Saturday Dec. 26 until 6 p.m. Check later for our Boxing Day specials. Desigual BLUE WAVE winter jacket for men. Was $309. Now on sale for $199. Desigual MIX men’s winter jacket with hoodie and removable knitted collar. Rain-resistant. Was $295.95. Now $193 (35% off). Desigual MIX men’s winter jacket with hoodie removable knitted collar. Rain-resistant. Was $295.95. Now on sale for 35% off ($193). Desigual WINNER overcoat with zip-out quilted front and knitted collar. Was $365. Now on sale for $238 (35% off). Desigual MARTIN grey cardigan sweater for men. Was $199.95. Now $130. Winter 2015. Desigual PABLOS jeans. $119. Take 35% off = $78. Desigual BLAIS cordouroy pants with removable button-off suspenders. We also have these cords in green. Was $165. Now $108. Two months ago, Desigual did a makeover of Angel, which now is a Desigual Wow Shop — the first Desigual boutique in Vancouver. Angel has Desigual for men, women and kids — the largest selection of the latest Desigual styles from the Fall-Winter 2015 collection on the west coast of Canada. 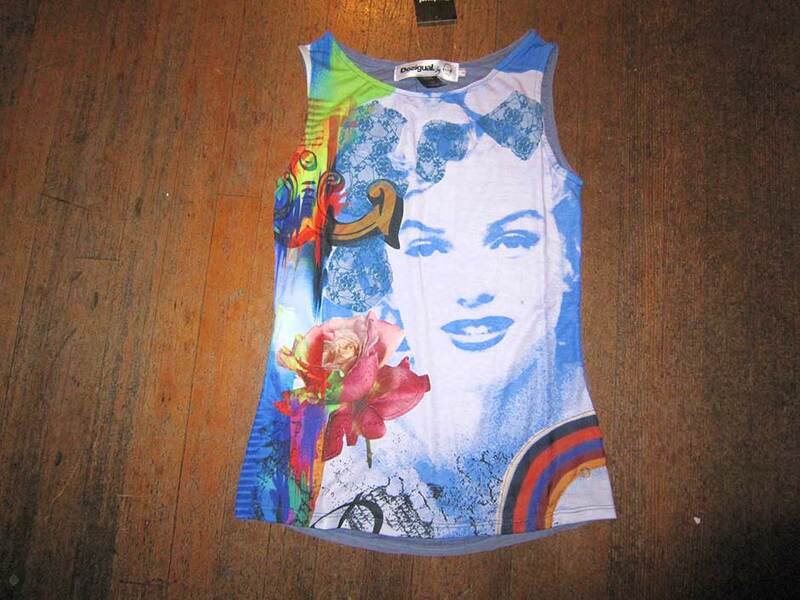 Angel also specializes in Desigual designed by Paris couturier Christian Lacroix. Angel also has Desigual scarves, gloves, hats & umbrellas, Desigual shoes & ankle boots. Angel also has Desigual rain boots on sale at 40% off, as well as 30% off the other Spanish brands we have in stock at our store in Gastown — Smash!, Paramita & Compañía Fantástica. We ship worldwide, including free shipping in Canada for purchases over $250. This entry was posted in Angel Hand-painted shirts, Christian Lacroix for Desigual, Desigual, Desigual for kids, Desigual for men, Desigual for women and tagged Angel Handpainted clothing, Canada's Shawn Mendes & Camila Cabello, Canada's Shawn Mendes & Hailee Steinfeld, Desigual for men, Desigual Vancouver Canada, Gastown, La Vida es Chula (Life is Cool! ), Vancouver Desigual, We ship Desigual in Canada. Bookmark the permalink.